People often ask, “What’s your SIBO protocol?” My answer: “I don’t have one.” You see, I don’t treat SIBO (Small Intestinal Bacterial Overgrowth). I treat patients (i.e. : the person’s body as a whole) and I help them to support digestion and restore a healthy gastrointestinal system. And, since everyone comes in with a different manifestation, different needs, a different underlying cause, and is at a different stage of their disorder, how would it make sense to put everyone on the same protocol? 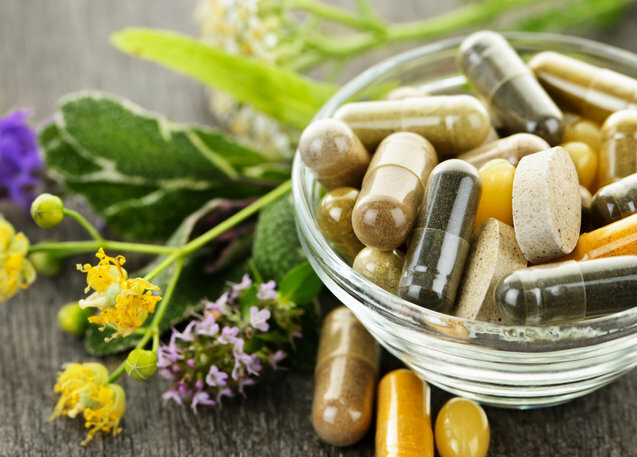 When bacterial counts are high, we may want to assist the body in bringing those levels down by introducing herbs that create a hostile environment within the gut where the bacteria can no longer survive. A common thread that I often include in protocols would be some sort of botanical agent with antimicrobial properties. But please know, it doesn’t stop there. A well rounded protocol may include digestive enzymes, herbs to stimulate hydrochloric acid secretion, cholagogues, specific fatty acids, specific probiotics, biofilm disruptors, specific compunds to address histamine issues, intestinal lining support, urinary tract support, nutraceuticals to support gut immunity, motility agents, and of course. . .the antimicrobials. Here is a review of the antimicrobials I most commonly recommend, what I like about each and why I might choose them for each type of case. G.I. Synergy is a rather broad spectrum antimicrobial blend of 15 herbs and isolated nutrients specifically designed to support the gut in eliminating unwanted pathogens. It is a combination of 3 complimentary products that work together to support the intestinal terrain, and are conveniently packaged into cellophane pouches that can be easily transported in a purse, briefcase or pocket for mid-day dosing. This is an excellent formula for the patient who has multiple gut infections in addition to their SIBO, whether that be H. pylori bacteria in the stomach, an overgrowth in the fungal or candida category, or actual parasites (yes, they are far more common than most people realize). Something to keep in mind is that once the gut terrain is disturbed, it creates a perfect breeding ground for multiple pathogens to flourish. G.I. Synergy does a nice job at addressing all 3 of these categories. I do get a number of negative SIBO breath tests following use of G.I Synergy. Well, putting that many herbs in the system all at once, we run the risk of also wiping out the good bacteria in the colon. It truly is a fine line. In addition, in order to get enough of the main ingredients that have been shown effective against SIBO, we have to dose ALL of the herbs at a high dose, which isn’t always favorable. At times, I can get around this by supplementing with just one of the three formulas included in G.I Synergy to boost an effect in that particular area. I use this product when I suspect or have tested and found multiple pathogens present. If the patient presents with SIBO and parasites or candida, and refuses medication or wants to go a natural non-toxic route first, I’ll consider G.I Synergy. Many patients feel great while taking this, which is very encouraging. CandiBactin comes in two distinct formulas, CandiBactin-AR® and CandiBactin-BR®. CandiBactin-AR is a blend of aromatic essential oils and dried herb leaf extracts supporting digestive and upper respiratory health. CandiBactin-BR is concentrated berberine and Chinese herb formula that supports healthy intestinal, detox and immune functions. These formulas can be used independently, or together for a synergistic effect. Since I typically use them together, or in an alternating pattern, I will refer to these two formulas collectively as CandiBactin for the purposes of this article. CandiBactin goes to work on tough SIBO and/or candida cases. Most people report that they can really feel it working due to its die-off effects. It also contains ingredients that act as motility agents. To this day, I have never seen it not work in at least lowering levels on initial follow-up SIBO breath tests. As with all botanicals, multiple rounds may be needed, but CandiBactin is a powerful aid, and an effective course may be completed in as little as 6 weeks with far fewer pills taken per day. Since CandiBactin is quite strong, there is a slight chance that it may not be as well tolerated. Candibactin AR may produce burp-up of thyme and oregano since they are in essential oil form (although, oddly, some people actually report that they enjoy it). CandiBactin BR contains such concentrated berberine that a small percentage of patients cannot tolerate it’s intense effects. However, this can often be alleviated with low-and-slow dosing. Also, CandiBactin has not shown to do as well on coexisting parasitic issues as other formulas specific to those needs. This really is a main go-to combo for SIBO or SIBO with coexisting candida. The exception would be if I suspect or have found a heavy metal burden on testing, in which case I would start with a few other products first, and then add in CandiBactin AR and BR about half way through the protocol. I also choose CandiBactin when all else fails, and it consistently does a good job. If a person is not used to taking a lot of pills, a good result can be seen with only a few pills per day, which is nice. And it can be dosed twice per day instead of three times per day like most other botanicals. Biocidin is a well proven broad spectrum botanical blend that comes in a number of forms and potencies. It supports a healthy and balanced intestinal ecology, and has a track record of resolving over 40,000 documented cases of gut issues of all types. It is often used alongside it’s counterpart Olivirex for additional immune support and antimicrobial effect combined with elimination and drainage through liver and urinary tract pathways. This tends to cut down on the dreaded die-off Herxheimer reactions. Biocidin comes in a pleasant tasting liquid form that works great for children or adults that have trouble swallowing pills. 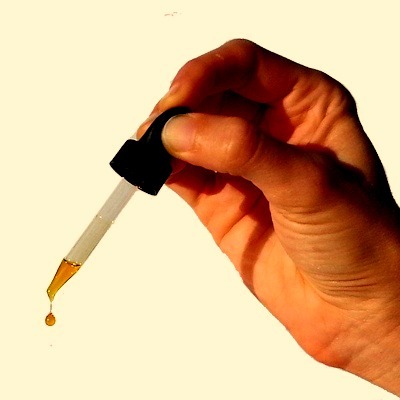 Drops make it easy to micro-dose for sensitive patients who cannot tolerate the entire dose of botanicals that come in a whole pill form. Or, one can slowly titrate up on the dose as tolerated until the maximum dose is finally reached. Once max dose is tolerated, most people prefer to transition over to the Biocidin Advanced Formula capsules. One capsule is equivalent to 5 drops. Biocidin also comes in a Throat Spray, not that I use it much for SIBO, but it is nice to have for sore throats and during the winter months as an adjunct since Biocidin is also helpful in upper respiratory cases during the cold and flu season. And lastly, there is Biocidin LSF which is in a liposomal form. It’s hard to come up with anything opposing Biocidin other than the fact that in those sensitive cases where we must start slowly and work up to a more effective dose, it can take a little longer to get a result. But this would also be true of any antimicrobial that is dosed in a low-and-slow protocol. Definitely for children, but also for those individuals who are prone to sore throats and upper respiratory issues. It is broad spectrum so it is effective in a number of different situations where co-infections are present. Very sensitive patients do quite well with the Biocidin drops. 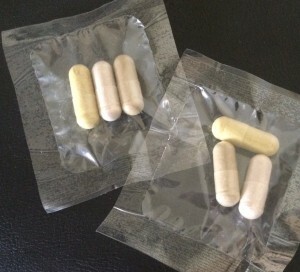 Capsules can be inserted locally for vaginal yeast infections. With cases where Lyme is suspected or confirmed or where symptoms are systemic or of neurological manifestation, the Biocidin LSF is ideal when used cautiously and appropriately. Hi! I just downloaded you ebook and I am so motivated to start this clean diet to heal my gut from Sibo. I do have a few questions that I did not find an answer to while reading through your blog. How long Should a person dealing with sibo stick to this diet before they start reintroducing food back? In order to not trigger the bacteria again and pretty much start the cycle all over again. How much fruit do you recommend one eat on a daily basis? Should we watch our carb (fruit and veg) intake? I also love to take my BCAAS before I workout and it has Sucralose as one of the indregients and I was wondering if one serving a day would barely affect the healing process or whether I should definitely cut it out. I really appreciate your reply. Thank you so so much! Hi, that’s great to hear that you’re so motivated. I love it! If you have a pretty simple case of SIBO, you can probably do the diet along with some antimicrobials and other additional digestive support for 6 – 12 weeks. Then slowly add foods back in one at a time. I tell people to start with their favorite vegetables that they love but haven’t been able to eat in a while. Maybe try asparagus or another vegetable. Then try a fruit, maybe watermelon or something else they miss eating. If that goes well, continue to add foods back, spacing it at about one new food every 2-3 days. When you add back too much too soon, you can’t always identify what caused a reaction because the reaction may not be immediate. However, if you are a tough case like most of my patients, you may need to be on a restrictive diet for a while longer until bacterial counts diminish and motility is regulated. I really encourage as wide of a variety of foods as possible. Without diversity, the microbiome becomes even more disrupted, leading to more GI issues. It can be a fine line at times. It also depends on what you were eating to begin with. If your regular diet is mostly pre-prepared processed foods, making a switch to a clean whole-food diet should make a dramatic difference in a short period of time. But diet alone is not going to get rid of SIBO. supporting overall digestion and possibly some botanical antimicrobials or digestive enzymes would likely be needed, just to name a few. Then following up with some gut rebuilding will be imperative. I personally don’t restrict fruit or vegetable intake, other than following the recommendations on the list. I cannot recommend Sucralose for anyone, any time. It is too toxic and disruptive to the system. But I do think you can find an alternate product without Sucralose that may meet your requirements. I do hope your healing journey goes well! It’s my pleasure! I hope you get to feeling better soon. It’s discouraging to see that all of these contain something I have to avoid due to food allergies (garlic, walnut, soy, raspberry, rice bran) – is it possible to fight SIBO by taking individual herbs (like oregano, cinnamon, etc.) instead of antimicrobial formulas with multiple ingredients? Hi Chris, yes. . .one approach is to do a “botanical parade” of individual antimicrobials where you rotate herbs taking each one for 3 days or so, then switching to the next for 3 days or so, then the next, etc. Another approach is to take individual tolerated herbs together. There are also non-herbal approaches such as Lauricidin, MegaSpore Biotic, and I am finding the German Biological Medicine quite effective as well. Hello Dr, my nutritionist has put me on GI Synergy as she suspects SIBO as my stool test came back very alkaline. My report came back that anything higher than 6.8 is too alkaline and mine was 7.5. Also shows that I have some putrefaction in my colon. My report says I have a medium intestinal colonisation with Candida albicans. The secretory aspartic protease is a marker enzyme which the lab tests for to determine if the kind of yeast is harmless or if it can cause health problems. Yours can. The protocol I am on includes CandiSolve, Saccharomyces Boullardi, Lauricidin and the GI Synergy which I was reluctant to take as I read it can cause “die-off symptoms”. When I first took it a few days ago I opened the capsules and tipped half out, wanted to see whether I had any reaction. A couple of days in now I feel awful with anxiety, nausea, headachy etc. She wants me to take the full 3 a day but I feel too nervous in doing so. She says the GI Synergy is the killer stuff of bad bacteria. Hi Jennie, obviously I cannot advise you as I’m not your treating physician. What I can offer is a few new concepts that may help! GI Synergy is a broad spectrum antimicrobial. It is a combination of 3 different products: H-PLR for upper GI bacteria, Yeastonil for fungal overgrowths and Candida, and Parastonil for parasites. Each of these formulas is represented by one of the 3 capsules in your GI Synergy packets. 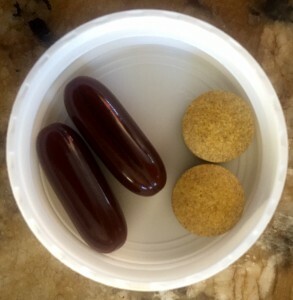 One thing I suggest in my sensitive patients is for them to just pick ONE of the 3 capsules and take that one day 1. Then pick another on day 2, and lastly finish with the 3rd on day 3. You do not need to know which capsule is which formula, it’s just a way to ease your body into the full broad spectrum of herbs. When an herb is effective and it is the right combination for your particular mess inside your gut, there should be some die-off. Some people will feel this far more than others. My personal observation is that those who are more toxic and whose organs of elimination are already burdened will respond with a greater and more unpleasant reaction. I often begin by prepping the body so the die-off reaction is not felt nearly as much. And I add in support for the nervous system, as many people respond with the anxiety. You’re not alone! Hi Dr. Lisa! I just found your website and have been reading through all of your wonderful articles. My ND suspects I have SIBO. She recommended I do the lactulose breath test, which I did last week. For the past month since I found out about SIBO, I have gone on the Fast Tract diet and it seems to be working for me. The pain and symptoms have greatly subsided with the Low FODMAP diet. I’m excited to try your recommended SIBO diet, which has some slight differences. I started taking Life Time’s Oregano Oil and Olive Leaf extract. http://www.iherb.com/life-time-oregano-oil-olive-leaf-2-fl-oz-59-ml/6139 I’ve taken it for over a week now. But reading your article and comments about doing a “botanical parade” with single antimicrobials, makes me wonder if I should switch it up? My ND is waiting for my results of the test before prescribing a protocol for me, but I told her I was taking this and she didn’t give her opinion one way or the other. I think she is supporting that I want to start taking something. What do you think of this tincture combo for reducing bacteria? I truly appreciate your website! 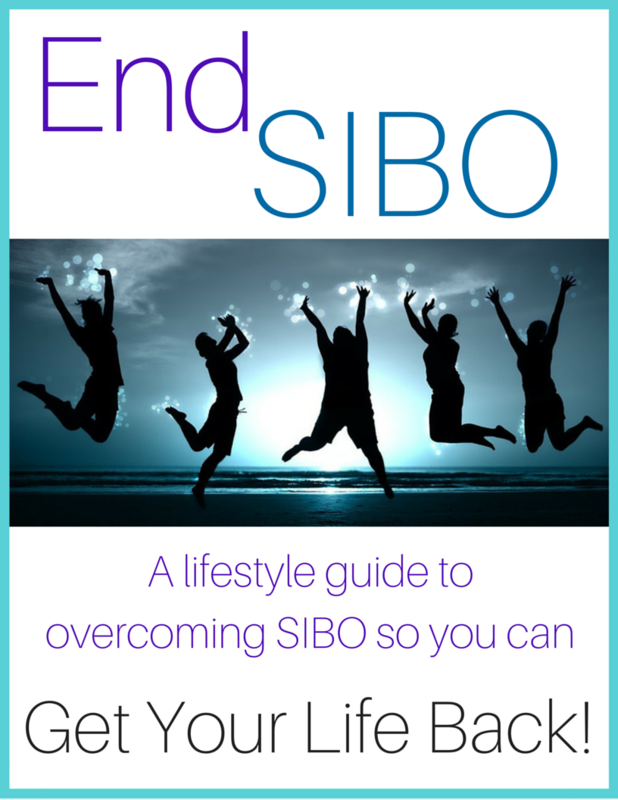 I’ve read a plethora of information in my research about SIBO and yours is a wealth of wisdom! I noticed you were a massage therapist at one time. I’ve been practicing massage for 15 years. Thank you so much for sharing all of this with us! Hi, and thank you for your encouragement! I’m glad the articles are helpful to you. I think you are going to need more than just oregano and olive leaf. Some additional pieces to consider are berberine and allicin for a more well rounded approach. I also like Spanish Black Radish. If I do these combos, I usually do them all at once, at first. I may go to a rotation after some time when I don’t want to push the antimicrobials as much. It’s a fine line with the antimicrobials. They’re helpful, but too many for too long – and I start seeing a wipe-out in the colon. I use a lot of MegaSpore Biotic along with many of my protocols. No, I’m so sorry, I can’t think of anyone I know personally in the NY area. I have a few questions if you could help. If using Allimax Pro 2 2xday and Neem Plus 3 2xday is it advisable to take Megasporebiotic at lunch? I’m trying to treat my son for Methane. I’m concerned there may be hydrogen sulfide. What will work to treat that? And lastly, do you have experience with Dr. Paul Anderson’s Biofilm Phase 2 product? Is this specific for biofilms or is it for hydrogen sulfide? Thank you so much!!! I personally advise MegaSpore to be taken with the most diverse meal of the day. It will not be affected by antimicrobials so you do not need to separate them for that reason. Hydrogen sulfide cases are typically treated much like methane cases. I am not familiar with this biofilm disruptor so I cannot comment on it.